Flowers were one of my favorite living things. They just gave me the smile every day when I see one. When I received an email from Decaleco in regards to writing about one of their wall decal products. 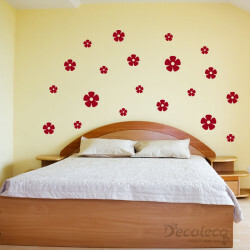 I was delightful for the opportunity and so, I choose Sakura Flowers, since I wanted to put them on our bedroom wall. We don’t have much wall décor so I figured out this one would make it better. It’s nice to look into something rather than to an empty wall. 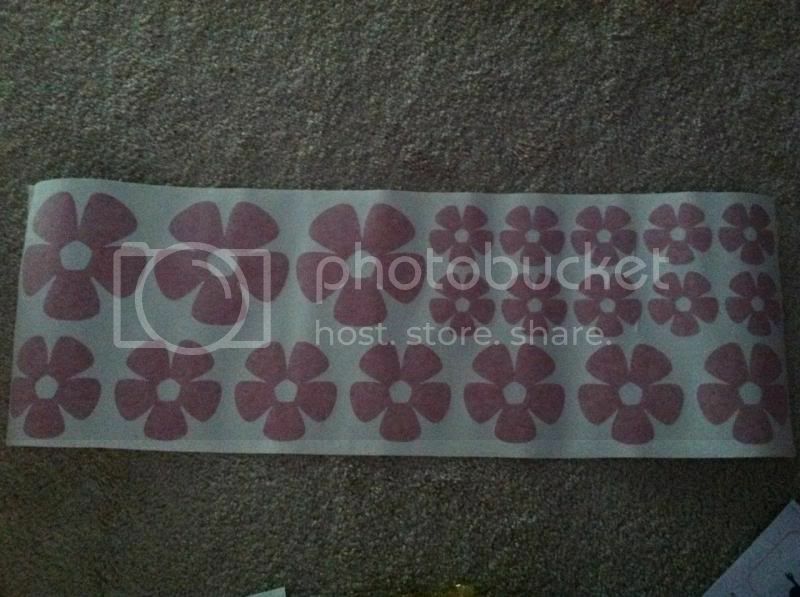 · While installing the decals, I never thought it was very simple and fast. Overall, my evaluation and experience with Decaleco products were amazing. I never have a problem occur, except that my husband couldn’t figure out where to put them in the house. Nevertheless, those were not part of the company’s concern but my husband’s. If you want to see more of the designs, please visit their website at http://www.decaleco.com also follow them on Facebook page and Twitter. Get connected with them and be the first to know about the new designs in the company. I am hosting a giveaway and I will be combining the same giveaway to my other two sites. I will be picking 3 lucky winners to receive a $25 eGift card from Decaleco. Giveaway starts on July 7, 2013, 12AM EST and ends on July 21, 2013, 12AM EST. Opens to Canada Residents and US. Again, would be afraid to use these on my apartments walls--I do like the way your husband put the flowers over your bed--so very pretty! I like the branches, flowers and butterflies. Though it might change by the time I win!! There are so many cute ones. I would like the Live Love Laugh decal. Although there are several others that I have my eye on. Those flowers above the head board is a nice touch. I love putting decals on the wall especially with the help of the kids. I love Decaleco! I have the Sakura Flowers too! I'd really really love the Yoga design. I want that soooooo bad! I love wall decals, they are an easy way to transform a room and not as permanent as paint. Decals are such a fun way to decorate if you're like me and constantly change up the decor. Wall decals are my favorite way to decorate a bare wall. They seem to have a huge selection which is another plus. I love so many of them. I love the idea of being able to decorate your walls and not worry that it is going to leave a mark or be hard to remove. Love the purple butterflies! I'd gladly pay the difference for those beauties! Thanks for the chance to win! those are pretty. It'll be perfect for my little girl! Truly beautiful, perfect for bedrooms! I want one of the quotes. I'd love to win this for my DD's room. That is nice and I like the idea that it is removable.